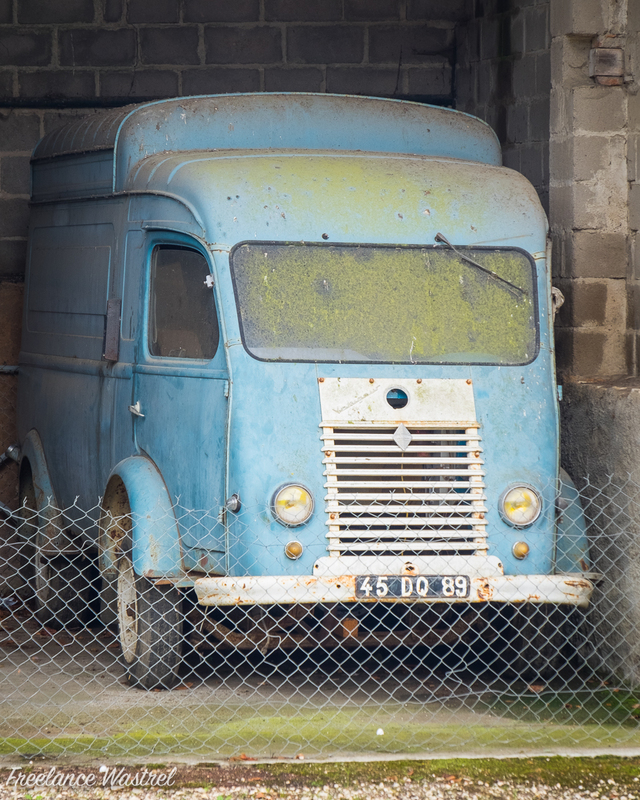 The Renault 1000Kg light van was introduced in 1947 but the 1400kg version introduced two years later soon became the more popular model. 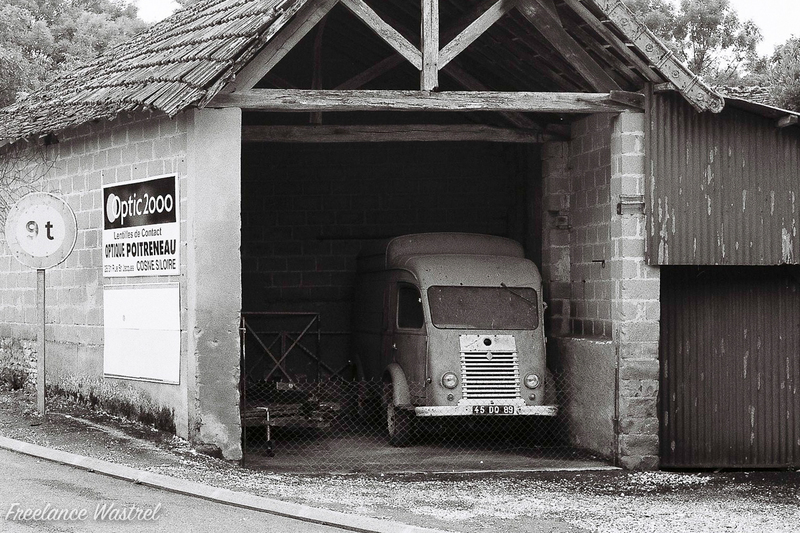 This particular example was spotted in a small commune in the Nièvre department of France and is an example of the 1000Kg Voltigeur model manufactured between 1956 and 1963. As a diesel engine was only offered as an option from 1961 I’m assuming that this one has the 1996cc petrol engine. I’m not certain that those tiny wheels (that don’t even remotely fill out the wheel arches) are the originals and sadly the van doesn’t appear to have moved in quite a while even though the ’89’ part of the registration indicates that this vehicle is registered in the neighbouring Yonne department. My very first car was a Renault 4. I bought it for £250 and sold it for £50. The floor plate was so rusted you could see daylight through it. My friends called it the Ant Hill Mob car, convinced that if we put our feet through the floor we could run faster. Happy memories. I’ve seen quite a few Renault 4s on the roads around a friend’s place in Burgundy… I also remember my father having a rusty Renault 6 when I was a child… I’ve developed quite a fondness for old French vehicles this past year or so and can’t resist photographing them wherever possible!